Once you access MockMotor UI for the first time, it will offer you to create a user. 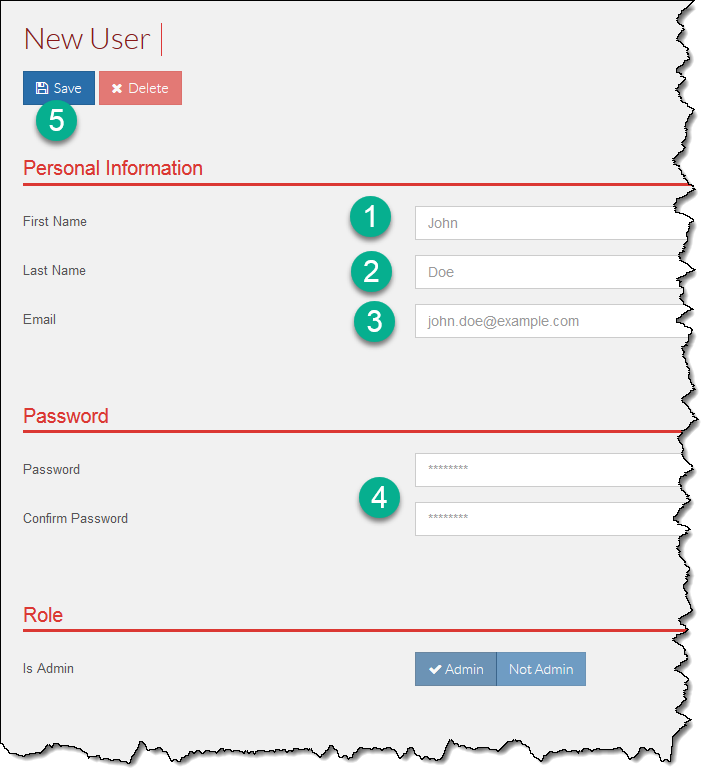 An admin can manage other users and update any mock environment. First user created in the MockMotor installation becomes its first admin. You can give more users admin rights later. It is visible to other users in the logs and in the change history. Your email which is also your login id. Repeat it twice to make sure you did not make a typo. When creating first user the role will automatically be set to Admin, and so the checkbox is disabled.